Extraordinary X-Men, the new banner X-Men series in Marvel’s “All-New, All-Different” reboot, sees the X-Men facing some cataclysmic threats to mutant kind—and a potential new enemy in the Inhumans. But they’ll be getting some help: from a long dead X-Men... and maybe not the one you’re expecting. And no, it’s not Wolverine, who was killed off last year in the drawn out Death of Wolverine saga—Laura Kinney, a.k.a X-23, is the new Wolverine in “All-New All Different.” Plus Extraordinary X-Men already has the help of Old Man Logan, from another universe, who was re-introduced during this year’s Secret Wars event (comic books, am I right?). Yup. Professor X is back, after a relatively lengthy absence of three years. Well, lengthy for a comic book, where death is rarely, rarely permanent. It’s perhaps not surprising to see Professor X back—after all, Marvel’s semi-reboot of their comics universe means they mostly have free reign to bring back characters as they please, and just say that they’re from an alternate universe that was smooshed together to create the new one. Maybe this Charles Xavier is an alternate that now occupies the Earth his predecessor left behind. But can he get the X-Men out of their sticky situation? Could it even be a vision or something Storm has? We won’t have to wait that much longer to find out—Extraordinary X-Men #1, by Jeff Lemire and Humberto Ramos, is out next week on November 4th. 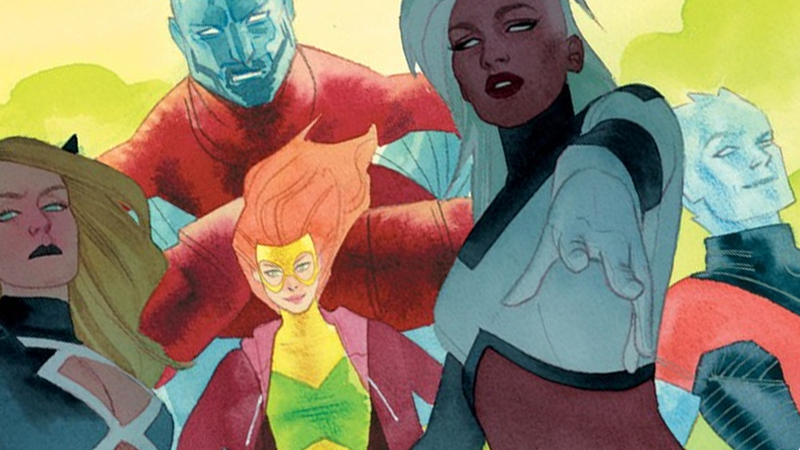 Header Image Credit: Kevin Wada variant cover for Extraordinary X-Men #2, via Comicbook.com.